Twin 1.5 gal. Satellite Brewing System with 2/1.5 gallon servers included. Curtis G4 aims to perfect coffee brewing through an acceleration of design and function. G4 features include an instinctive touch screen, icon-driven interface, provides users with seamless operation. 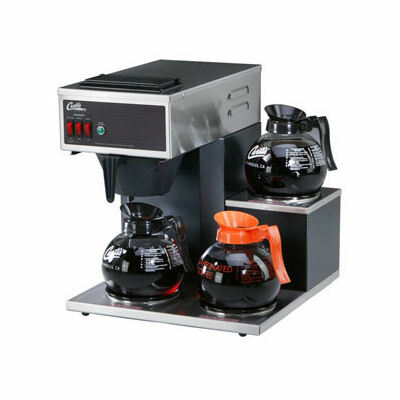 It’s brewing science at its best – only from Curtis. 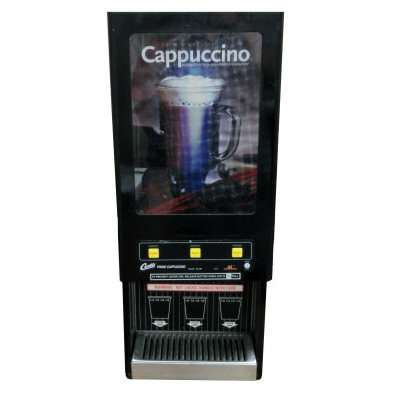 • Generation Four (G4) Digital Control – Large, 4.3″ touch screen. Icon-driven interface streamlines operation. • On-Screen Instructions – Provides fast, intuitive training; reduces service calls. • Advanced Scale Warning System – Continually monitors and advises tank probe condition. 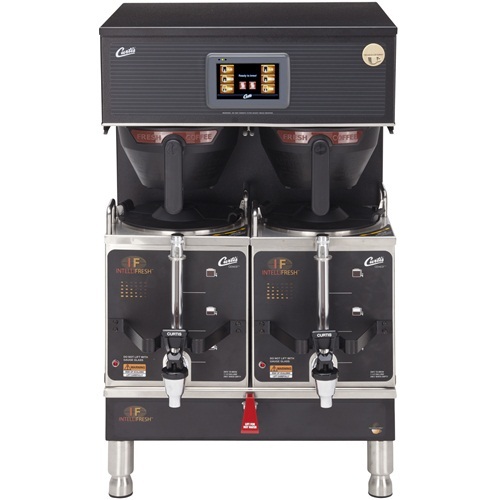 • Gold Cup Series – Digital Control Module provides precise control over all aspects of brewing: time, temperature, volume plus specialty coffee needs from pre-infusion to pulse- brewing to water bypass..
• Pre-set, one-touch Global Recipes – Based on coffee type, grind and weight. Simplifies profile setting for gourmet results every time. • Encapsulated Control Board – Protects against steam, water and impact. 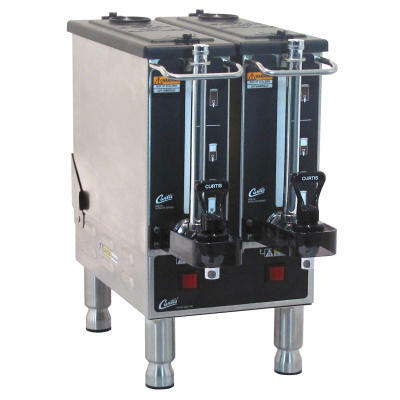 • Three Batch Sizes – Field selectable for .5, 1 or 1.5 gal. batch brewing.